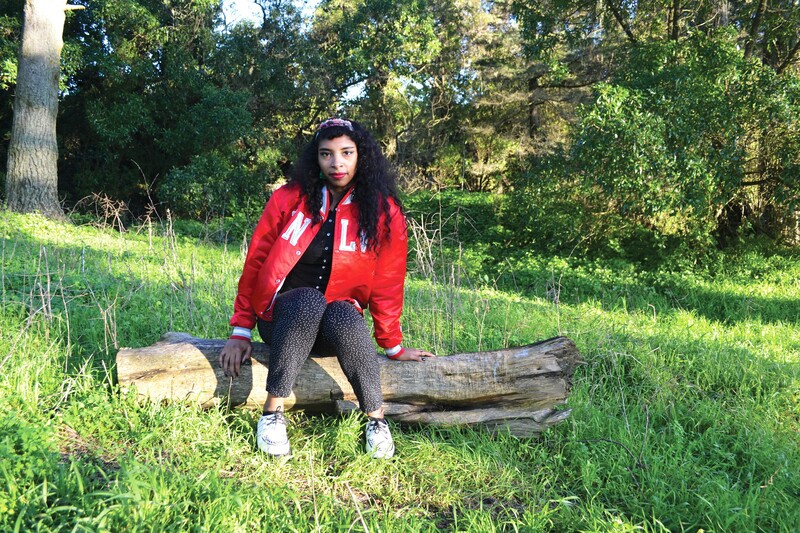 Berkeley songwriter Tia Cabral’s debut as Spellling sounds like little else this year. In reflecting upon some of the top local releases of the year, some themes emerged: Half of the titles are self-released. Few were backed by publicists. Vallejo figures prominently (Sacramento's OMB Peezy is included due to his Vallejo ties). And next to none are by artists based in San Francisco. The skew toward East Bay cities and outlying suburbs, along with the heavy representation of solo pursuits and electronic composition across genres, seems to stem from the affordability crisis; playing in a band, with hulking gear and costs around practice space and transportation, is less practical than working "in the box" and in the bedroom. Of course, the list below omits so much. Duckwrth and P-Lo's respective singles "Tamagotchi" and "Put Me on Somethin'" are easily among my most-played this year (and don't miss the latter's hyphy DMV-themed video). 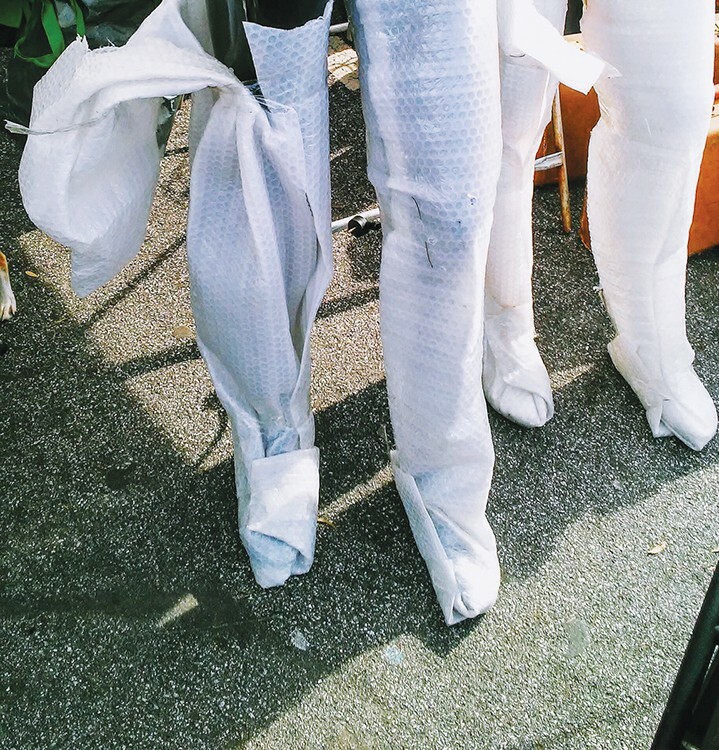 Doom-metal outfit Ragana's You Take Nothing softened my allergy to the style. Project Poppa put in work. Best demo tape? Neutrals, hands-down. Bastiengoat, Bourgeois Speedball, Once & Future Band, Jay Som, Mozzy, Marbled Eye, Acrylics, Boy Scouts, Tia Nomore — the shortlist is a riot. 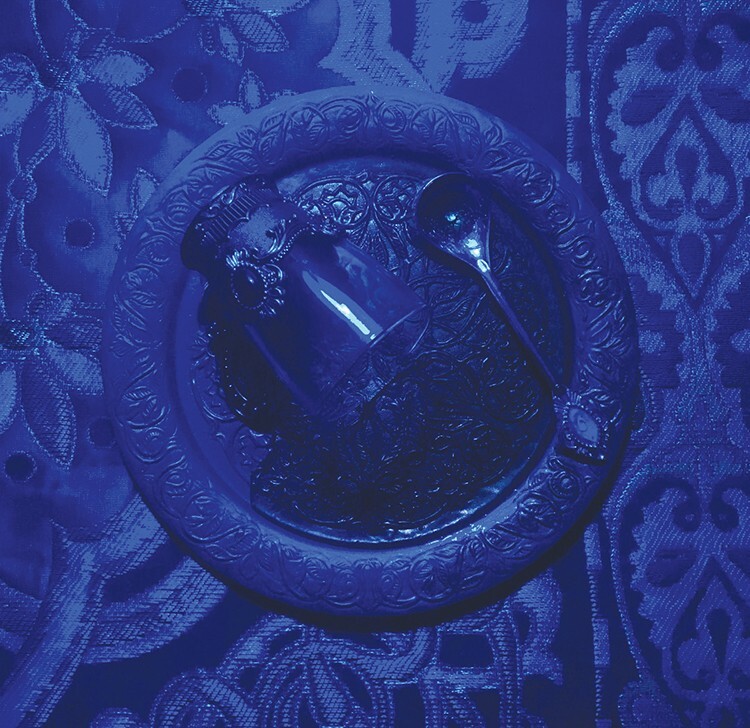 Pantheon of Me, Berkeley songwriter Tia Cabral's first full-length as Spellling, sounds like little else this year — an inward spiral of enchantingly fluid songs, full of wraithlike reveries and incantatory phrasing. For a debut, it's preternaturally confident and realized. And it's near unbelievable that it was self-released, sounding more like something on a forward-looking indie titan such as 4AD. Throughout 2017, Cabral also earned her reputation as a stellar performer, notably across music circles that tend not to overlap. The Express pegged Pantheon of Me's same-named EP predecessor the year's most striking local debut this summer, and this critic is pleased to see national publications noting Cabral this year-end list season in their self-shame category: "overlooked." 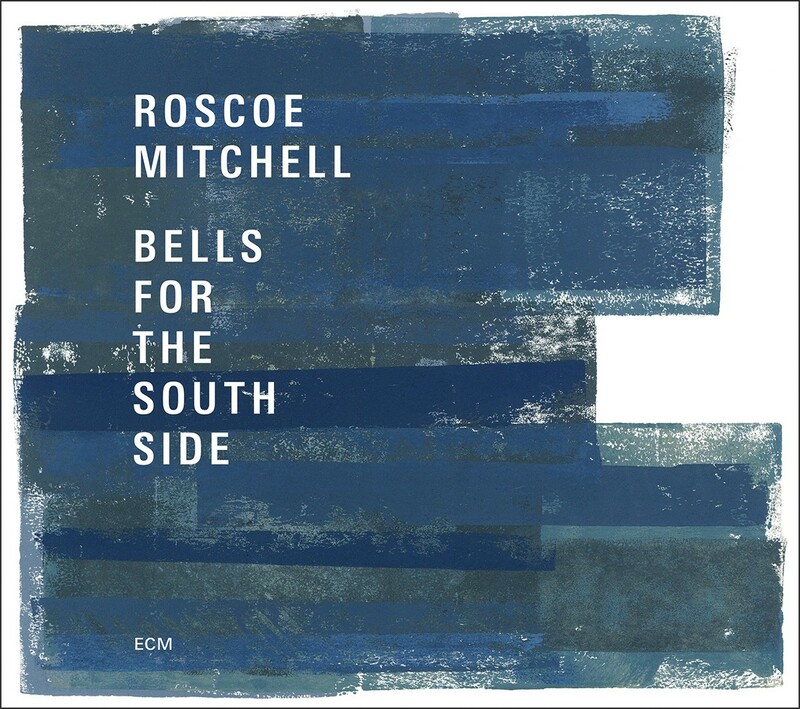 In 2015, seminal composer and improviser Roscoe Mitchell celebrated the 50th anniversary of pioneering Black artist collective the Association for the Advancement of Creative Musicians with a concert series, resulting in this year's two-disc Bells for the South Side. The recordings capture Mitchell realizing his new compositions with various collaborators, including storied percussionist William Winant and venerable upstart Tyshawn Sorey. And it's a wildly eclectic body of work — alternately skittering and swarming, ferocious and austere — that cements the 76-year-old's reputation as a vanguard artist. It also arrived shortly after international outcry scuttled Mills College administrators' plan to fire Mitchell, reminding everyone what a lousy idea that was. Alexandra Buschman and Danishta Rivero, respectively from Puerto Rico and Venezuela, bonded as music students at Mills College over three key things: a love of experimental electronic music and Caribbean dance music such as reggaetón, as well as exhaustion with the chauvinism that colors both scenes in different ways. They express all of these likes and dislikes as Las Sucias. Swaggering dembow rhythms underpin grating, steel-wool texture, and both of them hurtle hard-edged invective at a rapid clip. 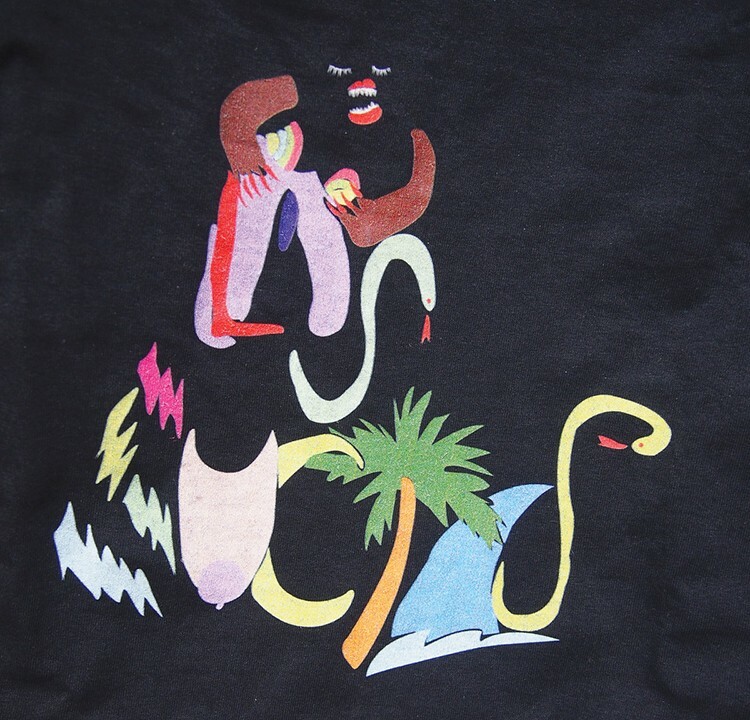 It was a gleefully savage combination on ¡Salte del Medio!, which the Express dubbed the finest local release of 2016, and the feverish intensity of their live show animates Chùpate Estas, a live recording of their performance last year at The Lab in San Francisco. Lil B's influence was strongly felt in 2017, not least on the scrappy eccentricity of so-called "Soundcloud rap," plus hit-making disciples such as Lil Yachty and Lil Uzi Vert. But Lil B's much-anticipated Black Ken shows the mercurial East Bay artist staying ahead of his followers. No singles, no music videos, and next to no guests — Lil B produced all of Black Ken's 27 tracks himself, and he intended them to be heard front-to-back, a proper album. Lumbering, mean-mugging funk feels at the record's outset cede to hyphy exuberance midway (he even dons a Keak da Sneak-indebted rasp), with leftfield experiments on the flip. It's also an ode to the East Bay, stuffed with hyper-local references. Maybe it presages a more composed, less spontaneous Lil B. It definitely foregrounds the doting study of hip-hop history that's always underpinned his work. Cube, the moniker of Oakland artist Adam Keith, makes electronic music out of what sound like the dregs, rough drafts, and pulp of other songs: snippets of synth-gurgle become kinetic beats, tape-rewind squeals become percussion. He wrote last year's My Cube with its vinyl full-length format in mind, resulting in a more coherent, intuitively sequenced statement than usual. 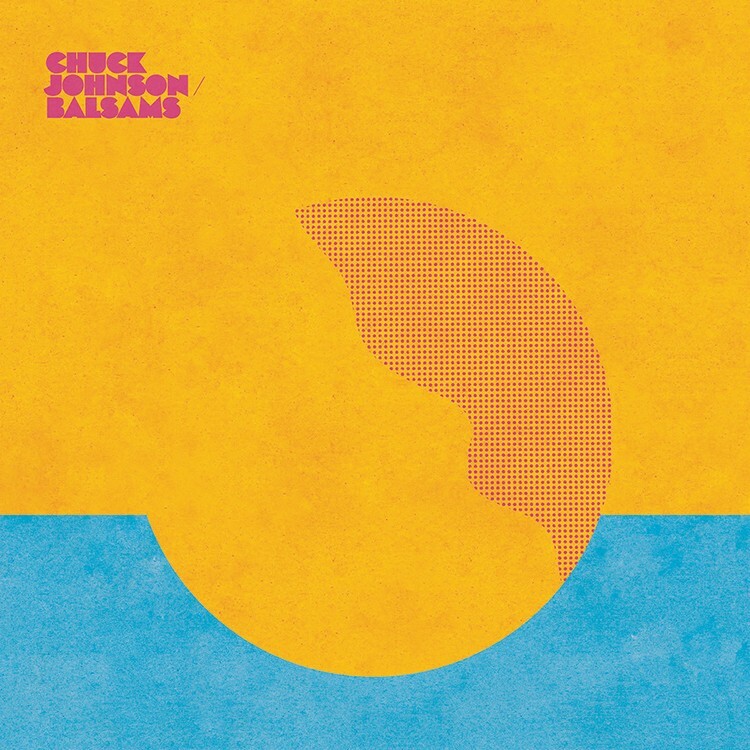 Crisis Actor, then, is a return to form, with more of the experimental detours and charmingly unfinished-seeming pieces that characterize earlier work. 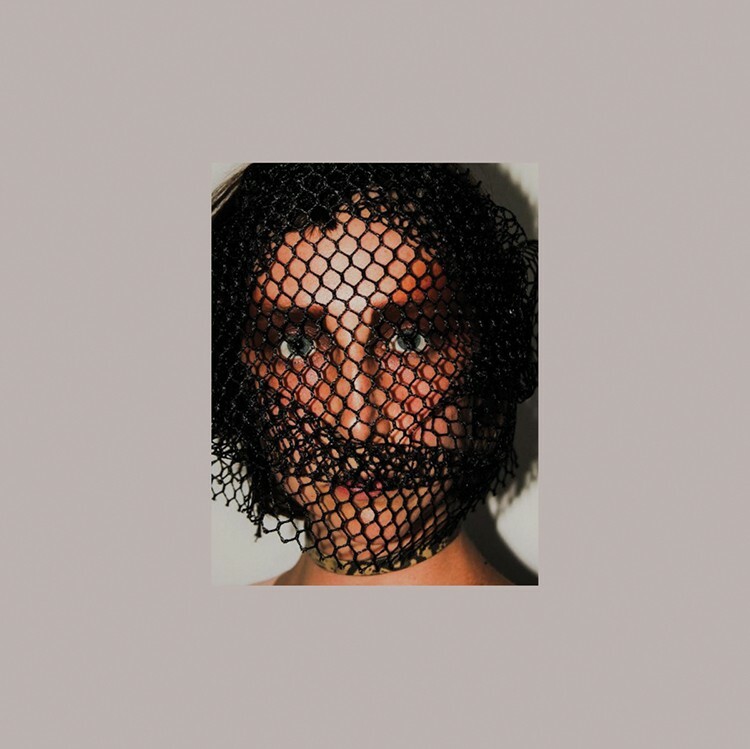 It's harsh, roughly wrought music, akin to industrial techno yet with more subtle humor and defiantly little of the pulsing baseline that generally qualifies dance music. An unscientific survey of the music blasting from phones and car windows in this writer's West Oakland neighborhood reveals SOBxRBE's "Anti" and "Lane Changing," the first two songs from the Vallejo outfit's eponymous debut, to be Town favorites. (Also big among motorists: Mozzy.) 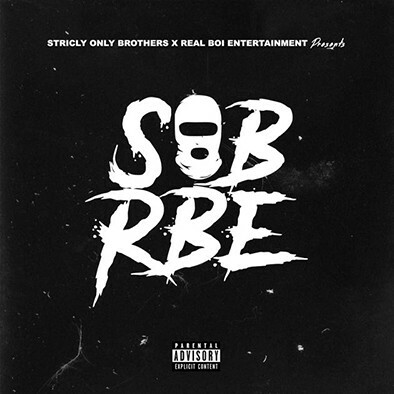 SOBxRBE are more than the sum of their parts. They like unfussy, throwback beats with frantic high-hats, and, aside from the tuneful Yhung T.O., every member uses a breathless bark. Their lyrics are fairly redundant. 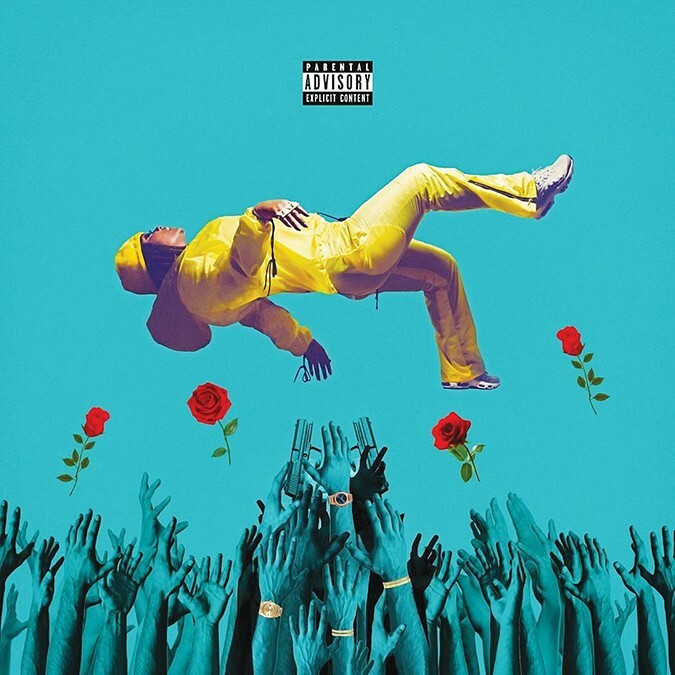 But SOBxRBE marshal mighty collective intensity, swapping dis-stuffed verses with salty vigor and a boundless, madcap spirit unheard from a Bay Area rap group since 3XKrazy. Though trained as an electronic musician, Oakland artist Chuck Johnson has earned a reputation as a so-called "American primitive" guitarist, prizing John Fahey-inspired devotion to unusual, self-taught acoustic guitar techniques. He likes challenges. And Velvet Arc, from 2016, featured initial experiments with a new one: pedal-steel guitar. Basalms foregrounds the instrument, mingling its polished glisten with vibrant synth in gossamer passages, all suffused with tape delay. The through-line of his increasingly diverse yet consistently stellar discography seems a patient, ascetic sort of mysticism. "Lay Down," which launched OMB Peezy's career, features more vocal ideas than other rappers manage on whole mixtapes. And Humble Beginnings, co-released by New York power player 300 Entertainment and E-40's talent-spotting Sick Wid It, reinforces that show-stopping versatility. 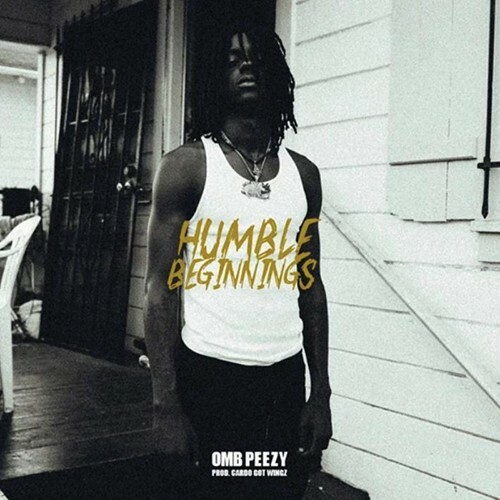 The most arresting stylist to break out this year, OMB Peezy has a creaky, sticky delivery that's always articulate and often inflected with singsong beauty. It seems indebted as much to his Alabama upbringing as it does to his teen years in Sacramento, a region-straddling identity that on Humble Beginnings sounds inimitable. 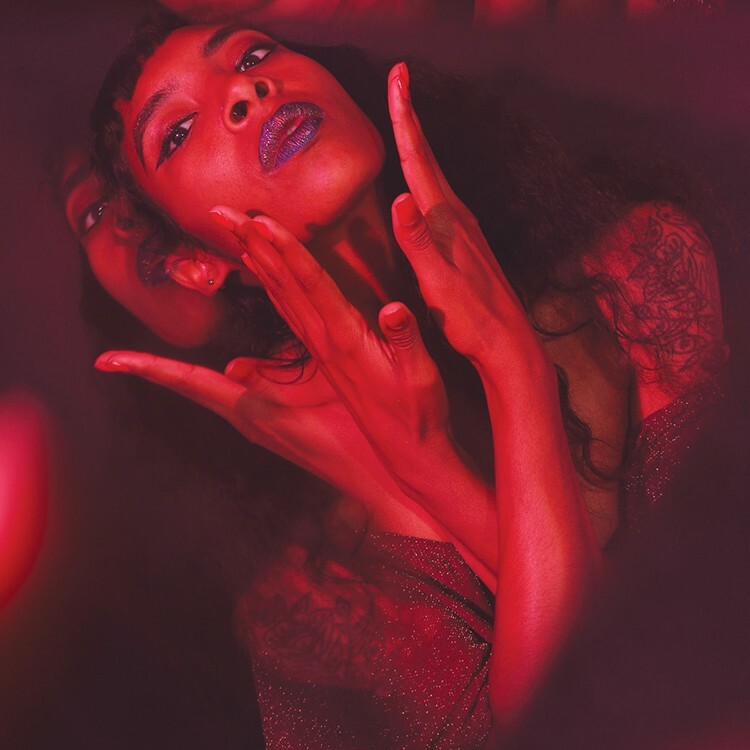 An underground favorite since early 2016, Club Chai this year emerged as perhaps the foremost party crew in Oakland — garnering notice from national publications as well as taste-making livestreaming company Boiler Room. Founders Lara Sarkissian and Esra Canoğullari bonded over their Middle Eastern heritages and how electronic music's bricolage enables them to explore the complexity of diasporic experience. Club Chai Volume One, which marks the launch of their label arm, shows the community they've built around the potential of the dance floor as a site of respect, release, and cultural exchange. 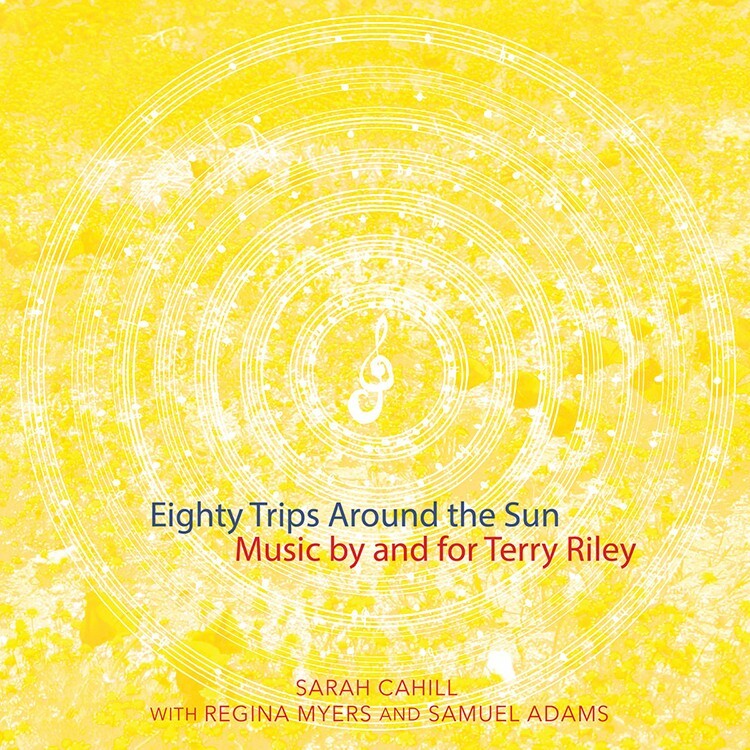 Esteemed Berkeley pianist and new-music curator Sarah Cahill's Eighty Trips Around the Sun is a lavish tribute to Terry Riley on the occasion of the composer's 80th birthday. The bulk of the material is her inventive, nimble interpretations of his piano compositions from the past 50 years; cumulatively, it's a rebuttal to whatever preconceived notion one has of Riley — a sign of Cahill's intimacy with the composer's creative contours as well as her own boldness. She's assisted on the serpentine four-hand pieces by Regina Myers, and a special delight closes the set: A Trilling Piece for Terry, Cahill and Samuel Carl Adams' playful, patient realization of a score by the late Pauline Oliveros.